Help a teen understand where her money goes. If the teenager in your life has a first job and is learning how to manage money, you can help with some basic budgeting tips. Good financial sense at a young age can set the stage for greater financial independence in the future. Help the teen figure out how much money she has and how she wants to spend it. Most teens won't have steady income, but rather will work a part-time or temporary job while in school. 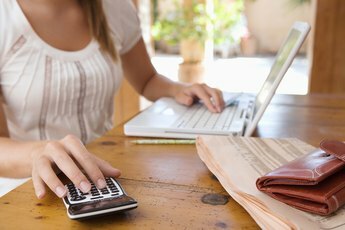 Help your teen figure out an average monthly income and create a budget from there. Map out essential payments she must prioritize, like paying for a cell phone or car insurance, and then show her what disposable income remains. Teens are often impulsive in their behavior, especially when it comes to spending. After all, if you're 14 and want a new pair of shoes, it's tough to tell yourself, “No, I'm saving for a car in two years,” when you really want the cool new kicks today. Once the teen understands how much disposable income is available, she can decide how she wants to spend it. Encourage putting at least 10 percent into savings, or coming up with a plan to save for something big in the future. It can be hard to track spending and stay on budget when you spend a little here and a little there. All of a sudden, your money is gone and you don't realize that in the last week you had 10 $4 gourmet coffee drinks. 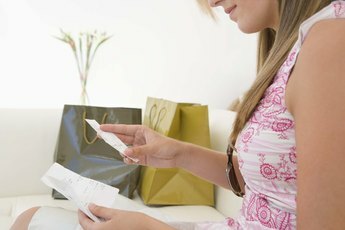 Encourage the teen to write down and track the things she normally buys so she can decide if they are worthwhile expenditures. Seeing things in black-and-white often makes the budgeting process easier. Discourage teens from using any kind of plastic, even if it's just a debit card. Getting into the habit of using only the cash on hand can help them protect against future credit card debt, and it makes them think twice about handing over hard-earned dollars. Plus, when the cash is gone, it's gone. Use examples to equate work with money. For example, if the teen wants to buy a $50 sweater, point out how many hours she’ll have to work to pay for it. 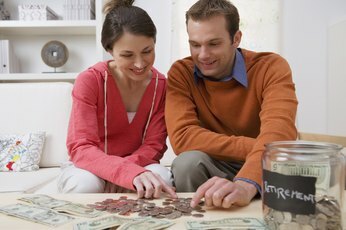 This approach can provide kids a tangible way to grasp the concept of money management.